To protect her brother, Bríghid offers her innocence to their hated overlord's friend, Jamie Blakewell. Jamie has long thought his friend Sheffield Winthrop Tate III, now Lord Byerly, to be losing his sense of honor. Now he knows that there's something wrong with Sheff. He plays along with the madman's scheme, vowing to keep Bríghid safe. Jamie's tenderness and concern for her people are Bríghid's undoing. There is no way she can hate the Englishman when his kindness prevents him from truly claiming her as his possession. Walking the fine line between love and hate is more dangerous than anything she has ever done, and the temptation to surrender to her enemy is too strong to resist. This second book in the series continues with the Blakewell/Kenleigh Family and features Jamie and Brighid. 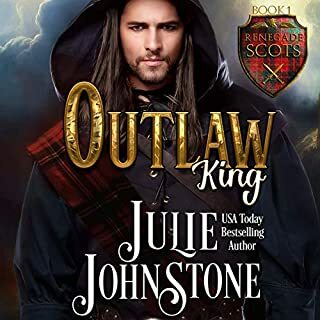 This book is filled with Irish, English, and American History that surrounds an unforgettable story filled with courage, suspense, loyalty, romance, and love. If you love historical romances with a great story then give this series a try. 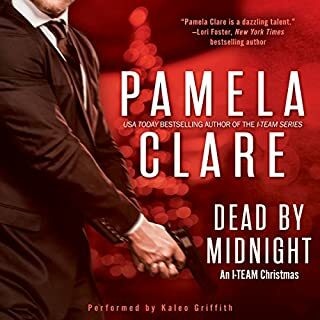 I highly recommend any book by Pamela Clare. Wonderfully written and narrated as always! 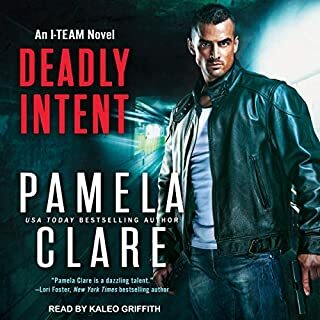 I really enjoy Pamela Clare's work and as usual Kaleo Griffith does an awesome job bringing her characters and the story to life. The narration was great, but the story was just a little too long for me (more angst than their needed to be). When I first read this book it was ten years ago and was in my twenties. I absolutely loved it and gave it 5 stars. However, now that I'm in my thirties and have kids of my own, there was just a little bit too much angst for me. I think the difference might be when I read it the first time the Publishers thought it was too long (I now agree with them) and made Pamela Clare take out all the parts about Nicholas except for the barest mention during the book and at the very end. Maybe that's all that it is, if so I think the publishers made a good decision, even though I remember reading that it really upset Clare. She was exicted when she got the rights back, so then she could put it out in electronic form how she meant for it to be with all the parts about Nicholas. After reading it both ways, I think the Publishers made a really good decision the first time. Don't get me wrong, this is so definitely worth the read, and I will most likely read it again, I just don't absolutely love it like I did last time...I just like it.